In 2007, I told you all that “the world keeps spinning; there’s no rewinds or going back to the beginning.” In 2015, it still holds true. Still, while we cannot go back in time, we can definitely handle unfinished business from years gone. The Divine Suns (or DME as we were known then) formed WAY BACK in 1997, when we were all freshmen at Morehouse College. Spirited freestyle ciphers, low(no)-budget studio sessions, and epic emcee battles help us all forge a bond that has survived life and its many twists and turns. Ironically, despite all of our individual successes as artists, we have never completed and released a project as a collective before. So, as ANON The Griot calls it, “Chaos Theory” is the ‘reunion album to the album that never happened.’ The album title lends itself to the creative process when 9 (and sometimes more) different opinions and views are thrown into the mix, blending into a creative stew. The music reflects the natural growth of men. The fierce emcees have become fathers, and the ferocity once reserved for dismantling another emcee is now dedicated to providing for and protecting our families. Conceptually diverse, “Chaos Theory” showcases our various skill sets, without ever sounding forced, or as if someone had to TRY and fit onto a record. A solid 19 tracks of music, ideas and theory (see what I did there? ), this is project that we are all proud to share with the world. So proud that we invite you all to not only listen to and/or download the project, but we are confident that you will contribute to the cause. We understand that your contribution could come in the form of a monetary donation (where you set the price) or by spreading the word about the Divine Suns movement. 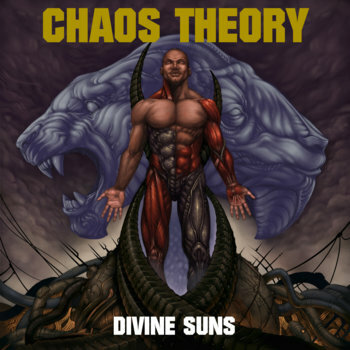 Basically, there’s no reason that like-minded individuals should not have “Chaos Theory” in their collections! Being hungry is an art and the Divine Suns have mastered the craft. The Morehouse alums make feast from famine this Divine Sunday. “Hungry Arms,” produced by Germany’s DJ Snapshot, finds Mikchek﻿, ANON, and Dan Johns trading bars like a Hip Hop bazaar. The visuals, shot in Florence, South Carolina and Atlanta’s Old Fourth Ward, illustrate the magic which i sthe Suns: backyards and boom bap collide in a visual feeding frenzy. Grab your plates and prepare to be served.